The Road Glide® Special motorcycle cuts a wide swath wherever it rolls. 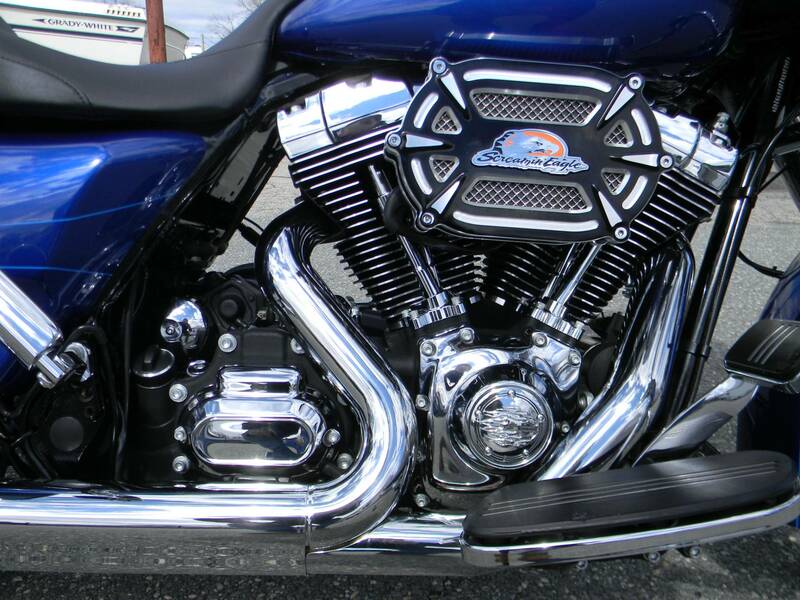 BOOM!™ Box 6.5GT audio system, CVO-style air ride rear suspension, gloss black inner fairing and more. This is H-D attitude with no compromise. New Handlebar: There's a new handlebar on the Road Glide Special motorcycle this year that makes the riding position more comfortable for a wider range of riders. The hand grips are now 5.5 inches closer to the rider. It means no long stretch to reach the bars, allowing you to lie back and rack up the miles. 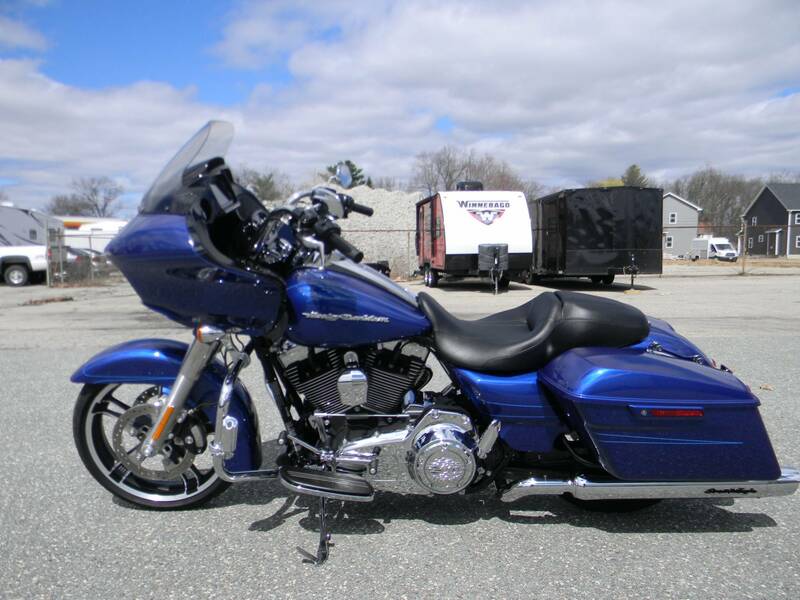 Streamliner Footboards and Streamliner Passenger Footpegs: The Road Glide Special motorcycle is outfitted with full-length Streamliner footboards, Streamliner passenger footpegs and a heel/toe shifter. The look is custom and the function is pure comfort. The footboards are rubber-isolation mounted to separate your feet from vibration. And the heel/toe shift means easier, more comfortable shifting. It also saves wear and tear on the top of your left boot. Because now you can use your heel to shift to a higher gear. 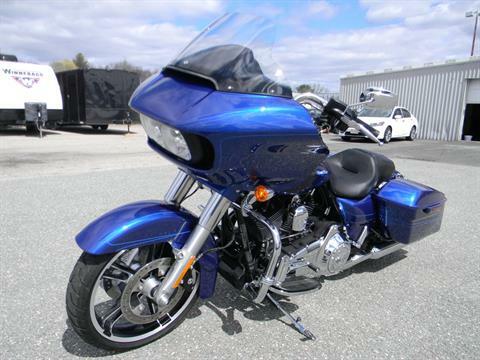 Two-Up Street Glide® Seat: There's a one-piece, two-up Street Glide seat on the new Road Glide Special motorcycle. It combines a custom look with a design that's built for comfort. 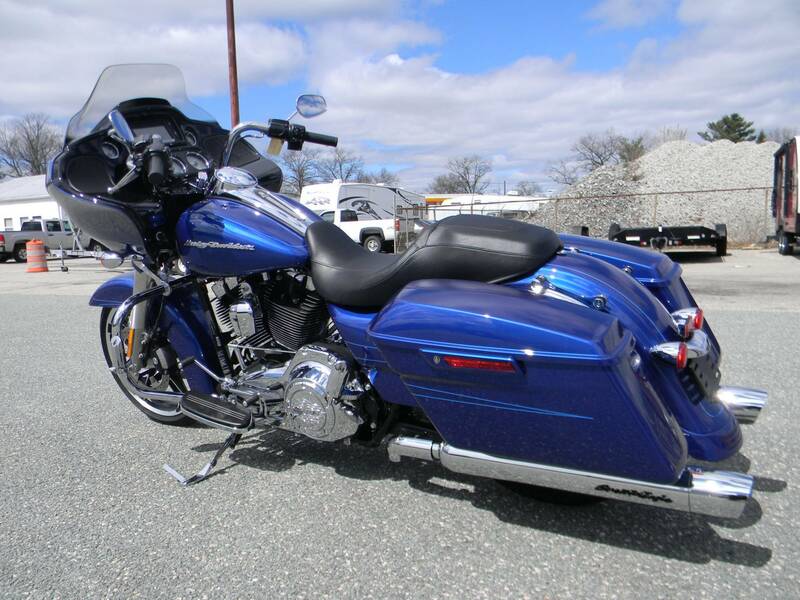 No one puts more miles in the saddle to design a saddle than the Harley-Davidson Motor Company. Throw a leg over this one. You'll be good to go for an all-day ride. Standard Cruise Control: Installing cruise control is standard operating procedure on the touring models because riding long stretches of unbroken highway is standard operating procedure among touring riders. 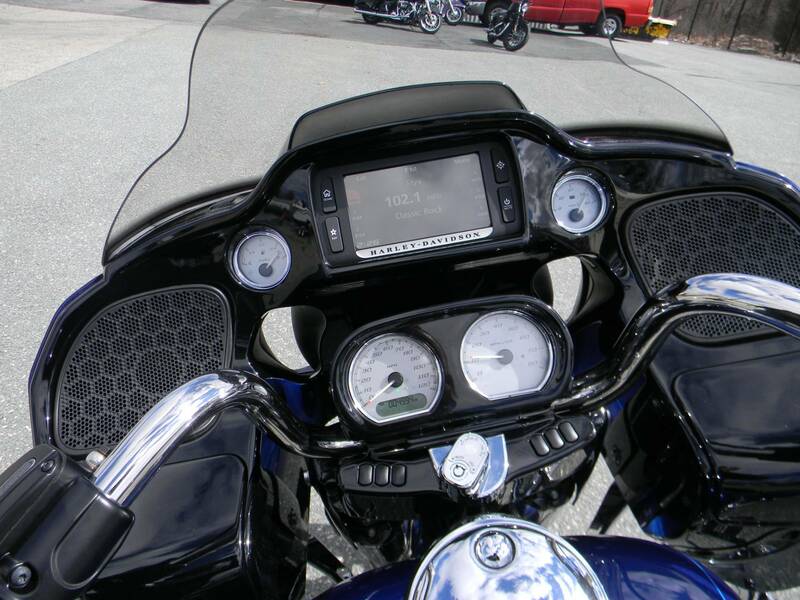 Electronic throttle control means no cable cluttering up your handlebar. And the switches are placed where you can easily dial in your speed with your left thumb, give the wrist a break, and keep hauling on down the road. 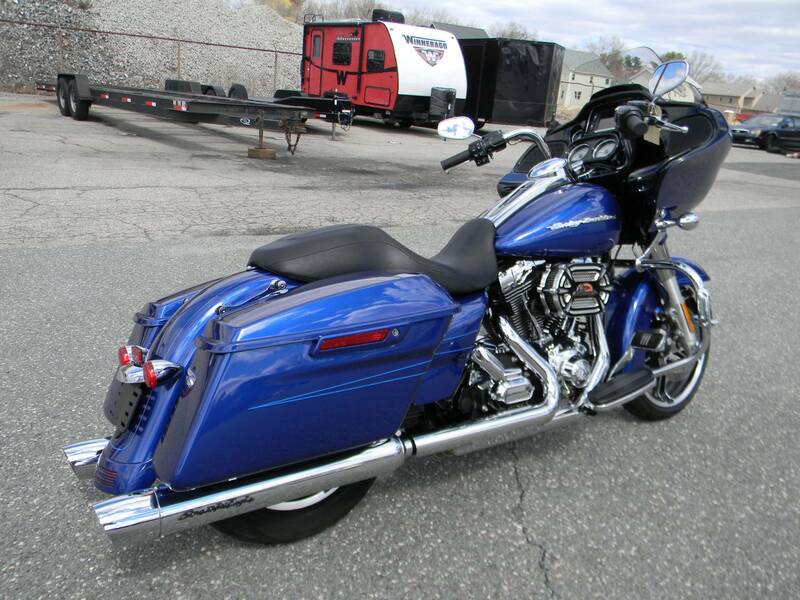 Combination Rear Stop / Turn / Taillights: The last thing people see when you go by on the Road Glide Special motorcycle is the clean, custom look of combination rear stop / turn / tailights. You never get a second chance to make a last impression. 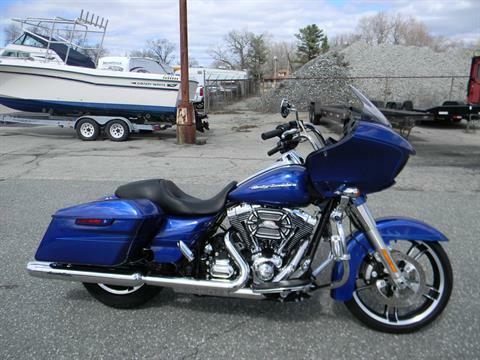 Classic Fuel Tank: Part of the unmistakable style of the Harley-Davidson Road Glide Special motorcycle is plenty of room for showing off your paint. This classically styled, bold 6-gallon fuel tank doesn't just give you a bigger canvas for premium or custom paint; it holds 6 gallons of go so you can eat up a lot more road between pit stops. We know fuel economy is important—but so is style. Sharp, eye-catching colors and precision-crafted Harley-Davidson tank medallions complete the unique look of this tough bagger. 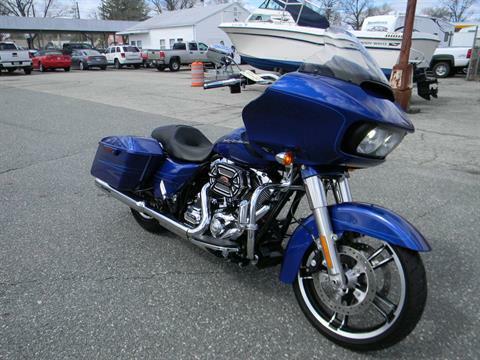 New Inner Fairing Design: Put your eye to the inner fairing of the Road Glide Special motorcycle. There’s a big display screen (see the whole story in the infotainment section). 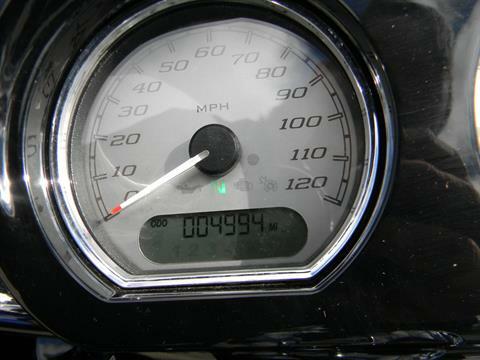 Check out the silver-faced gauges: you’ll notice a 10% larger viewing area, with wider and taller numbers. The information gets bigger and better too. There’s a gear indicator for all six gears and the display area, which can now be operated by an extremely convenient trigger switch, puts more information at your fingertips. The temperature and fuel gauge are larger too. When you’re on the road, one quick glance tells you everything you need to know.